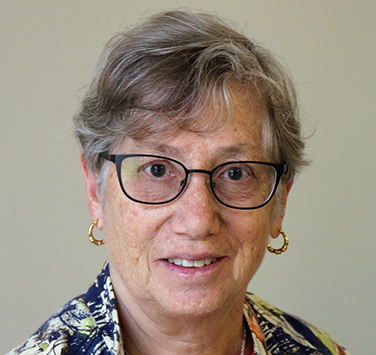 Jane Gordon is a PhD in Sociology, and retired after 37 years as a faculty member at Mount St. Vincent University in the Sociology-Anthropology Department and cross-appointed to Women’s Studies. I am now a Professor Emeritus. During my years at the Mount, in addition to teaching and research, I was also involved in a variety of administrative capacities, including several terms as department chair, university-wide search committee for senior administration and personnel committees for faculty and administrators. I was involved in both professional and community Boards of Governors, among them the Mount, Dalhousie, and Canadian Association of University Teachers, and volunteered with community boards including the Halifax Transition House Association, Planned Parenthood of Nova Scotia, the Nova Scotia Kiwanis Music Festival, the Early Music Society of Nova Scotia (for whom I served two terms as president), and the Halifax Summer Opera Festival. My volunteer experiences include program planning, hiring and retention policies, and issues and budgets. In memory of my husband, through Symphony Nova Scotia, I donated money for a commission and performance, which became Halifax Harbour by Elizabeth Raum. That experience led me to develop the Maria Anna Mozart Award, originally to be with money from my estate, but I decided to donate and start it while I could enjoy it. I grew up in New York City with parents who loved classical music and took me to performances at Carnegie Hall and the Metropolitan Opera. Working with Symphony Nova Scotia is one way to continue that love of music. Another expression of my love of music was beginning piano lessons in my 50s and adding recorder, which allows me to play with amateur groups. I also enjoy travel, reading, walking trips, and knitting. I also continue to volunteer with several community organizations.